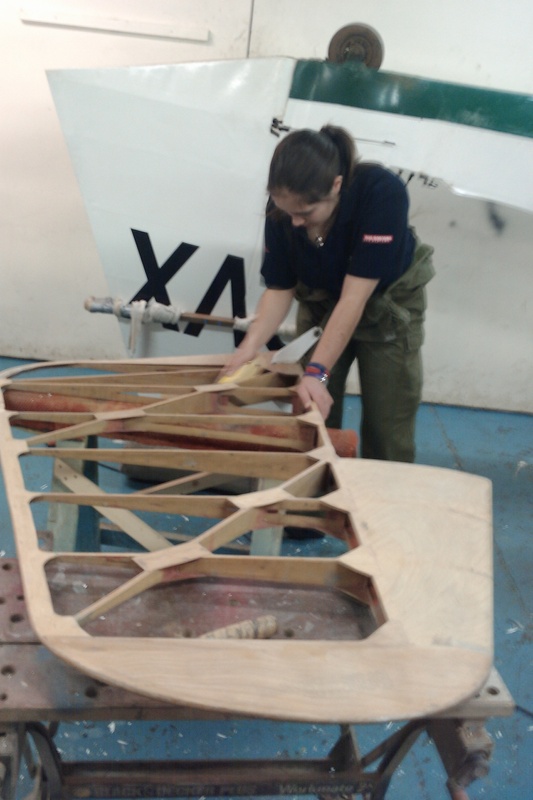 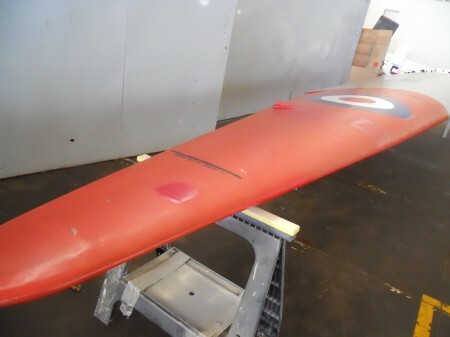 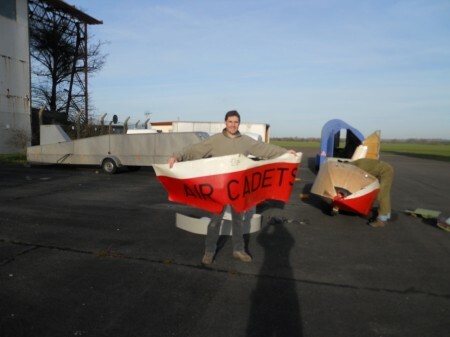 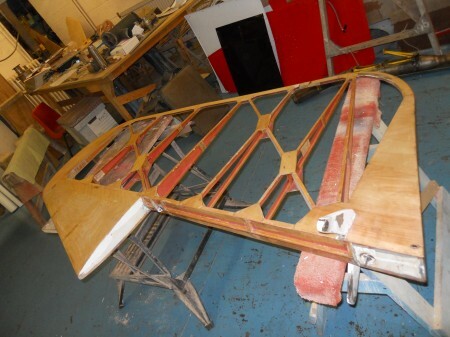 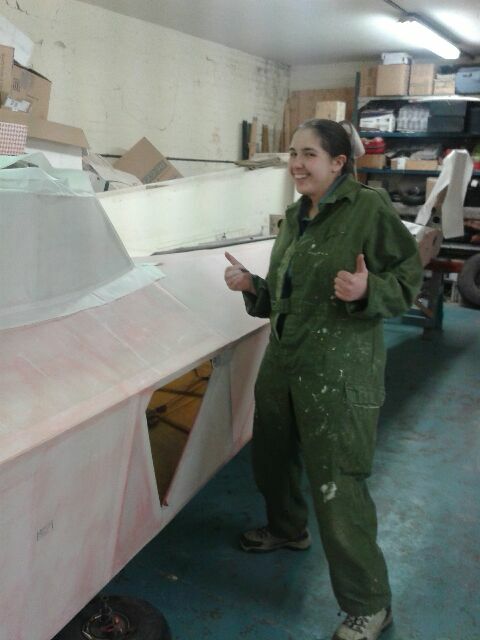 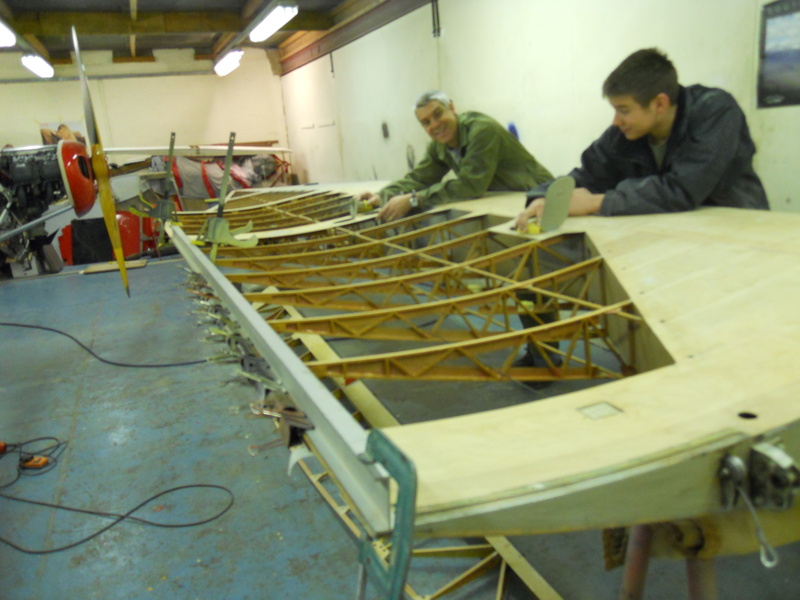 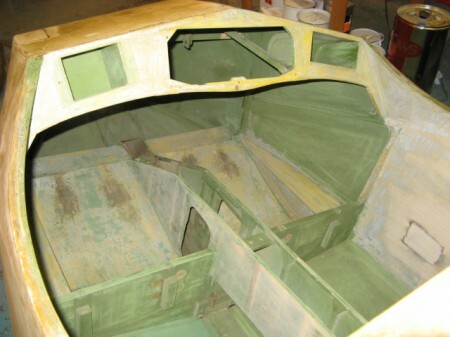 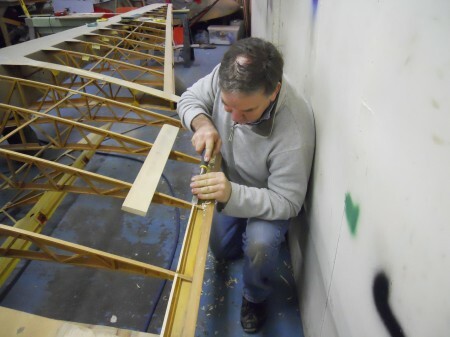 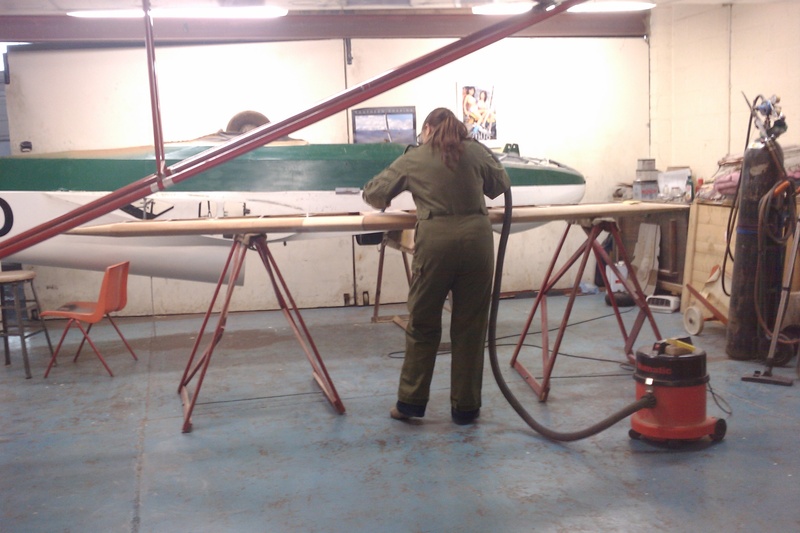 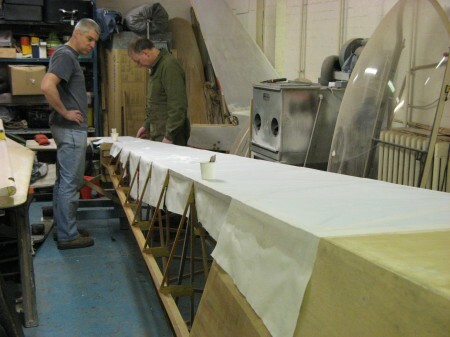 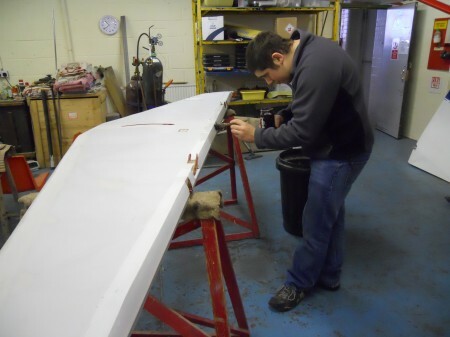 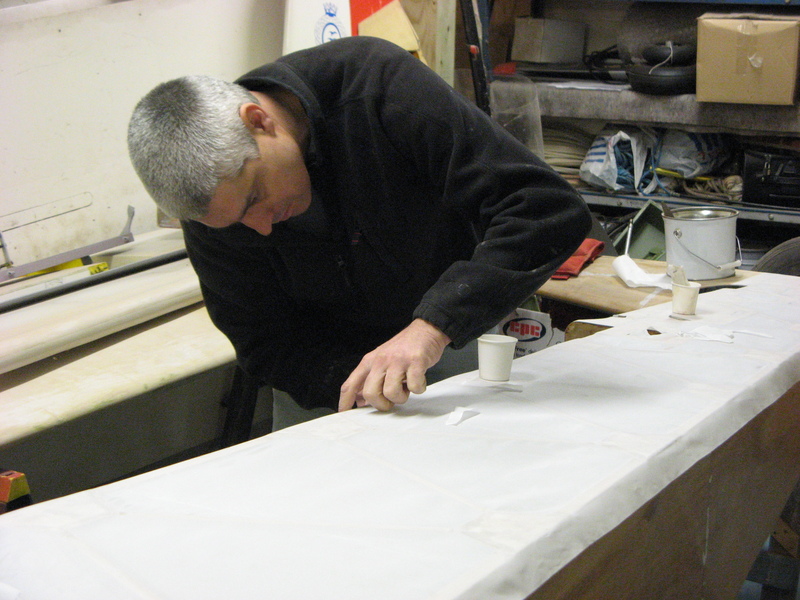 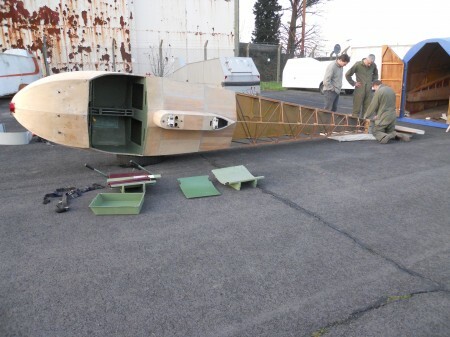 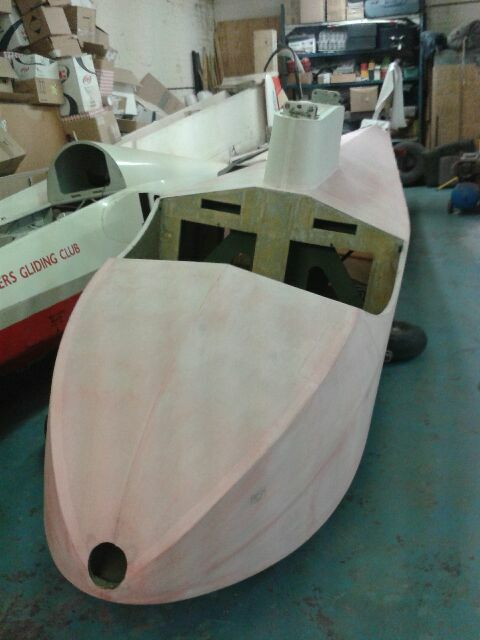 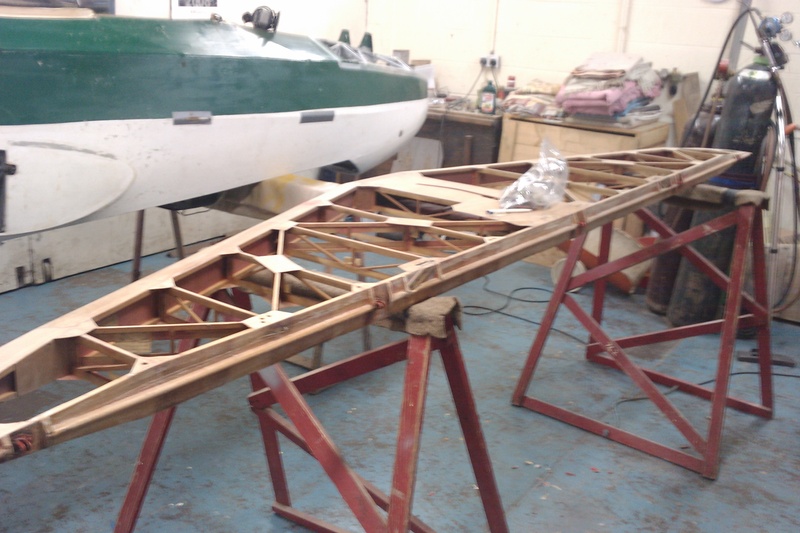 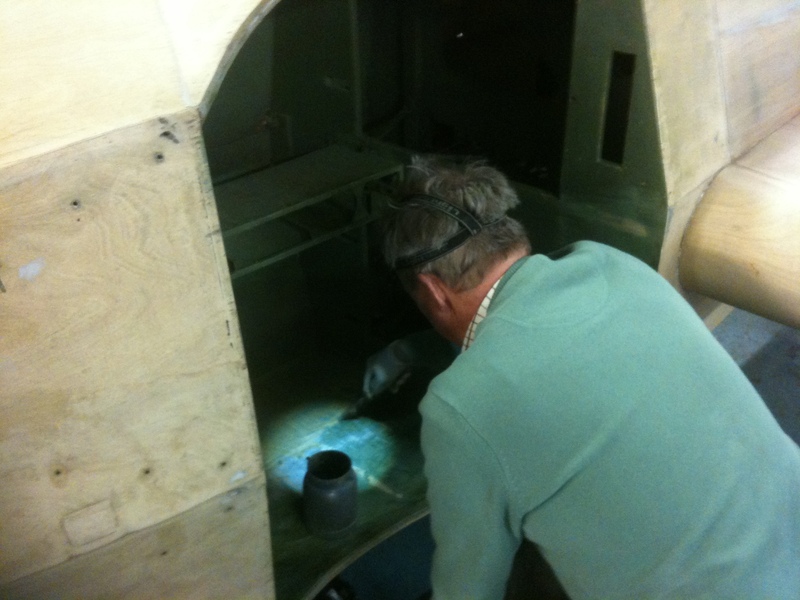 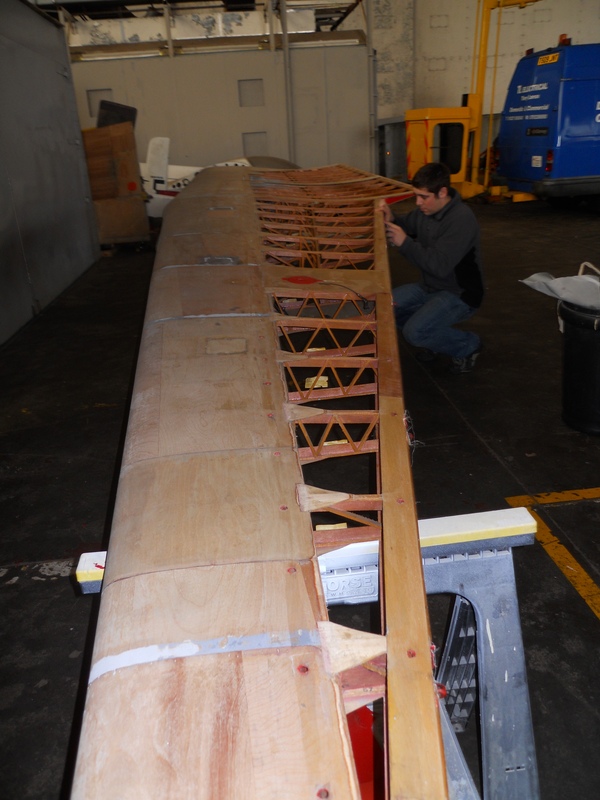 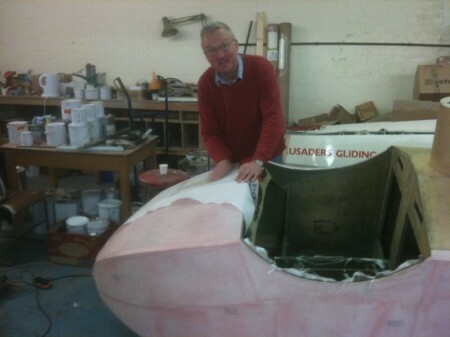 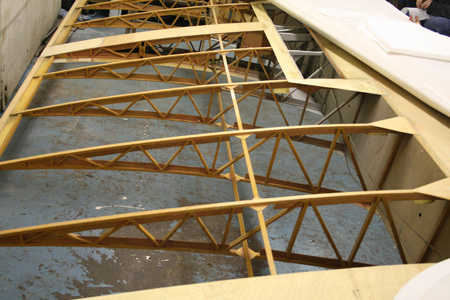 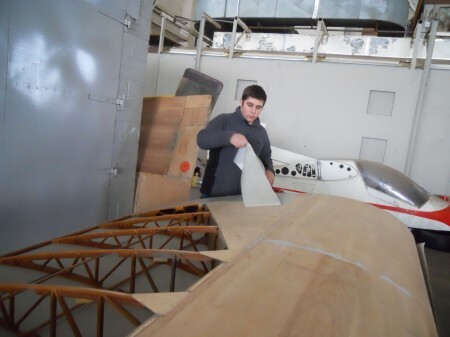 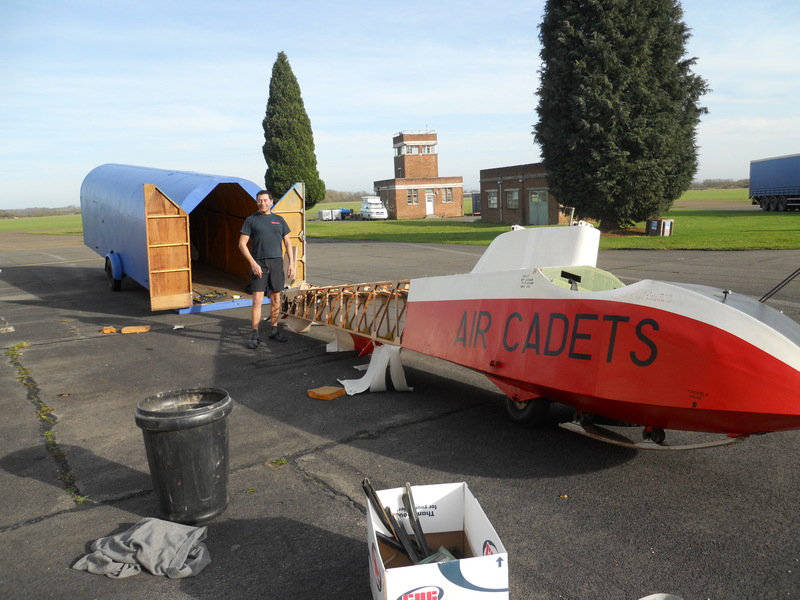 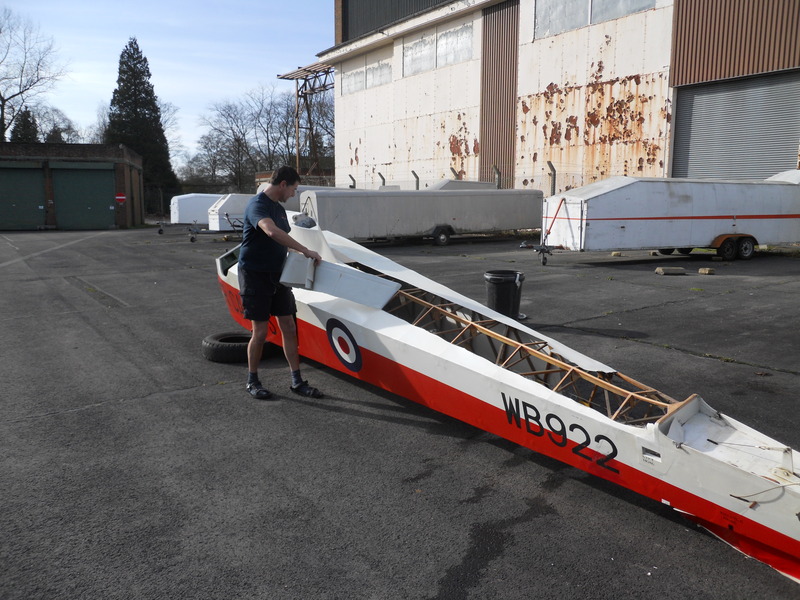 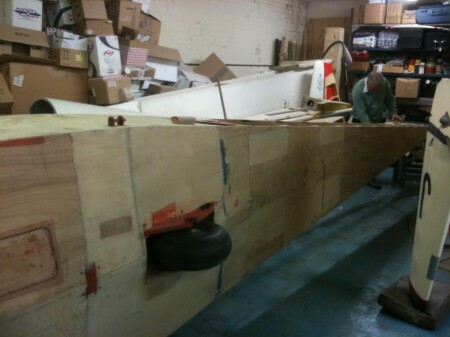 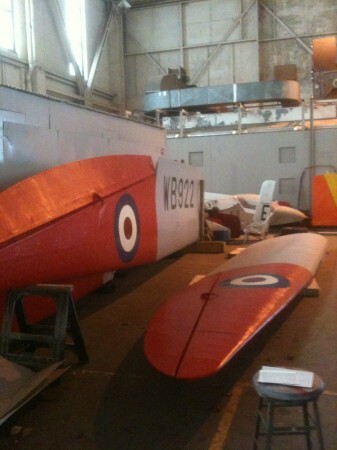 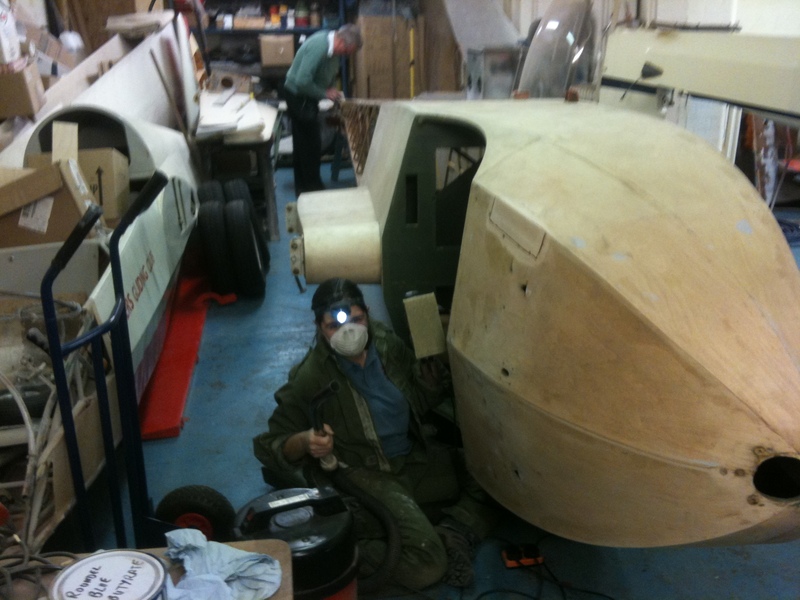 Vicky and Jono have been at the workshop this week, so far they have finished stripping the elevator, rudder and tail. They have been sanded, the tail and rudder have been coated in adhesive and are ready for covering. 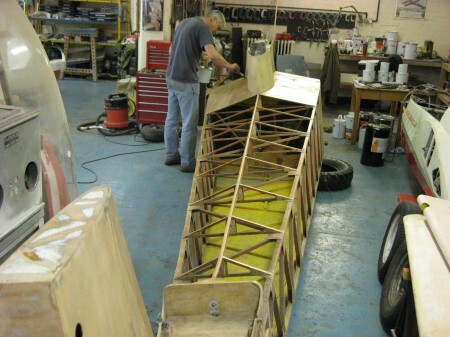 The elevator is ready for the trailing edge to be straightened out! 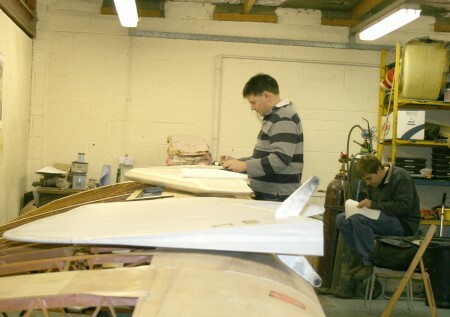 Apparantly Jonn couldn’t be shown working as he had to take the photo’s !! 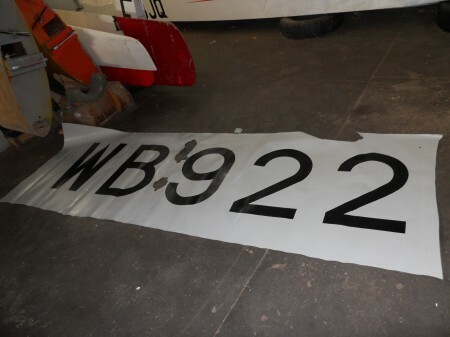 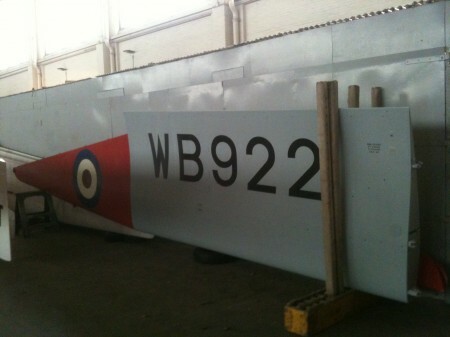 WB922 was taken to Bicester on 28 Feb 11 and with a few gaps available in Dave’s workshop a few components were removed ready to start work. The elevator and tailpane seperated, the ailerons removed from the wings and the rudder removed from the tail. 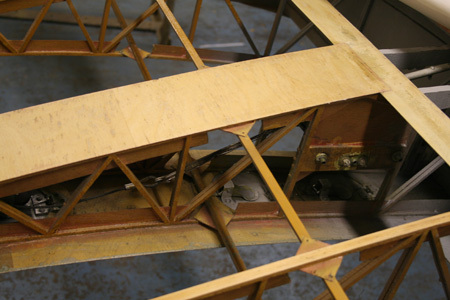 Horrible split pins and some of the hinge pins needed pursuading. Adam and Phil were a little hesitant to force things and do any damage to the structure and fabric. 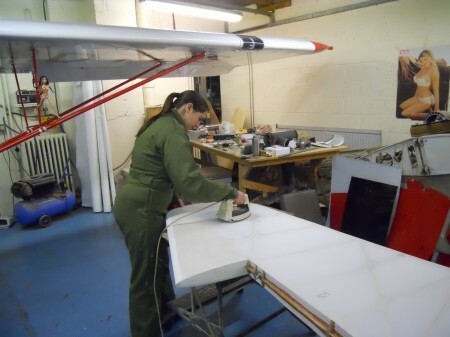 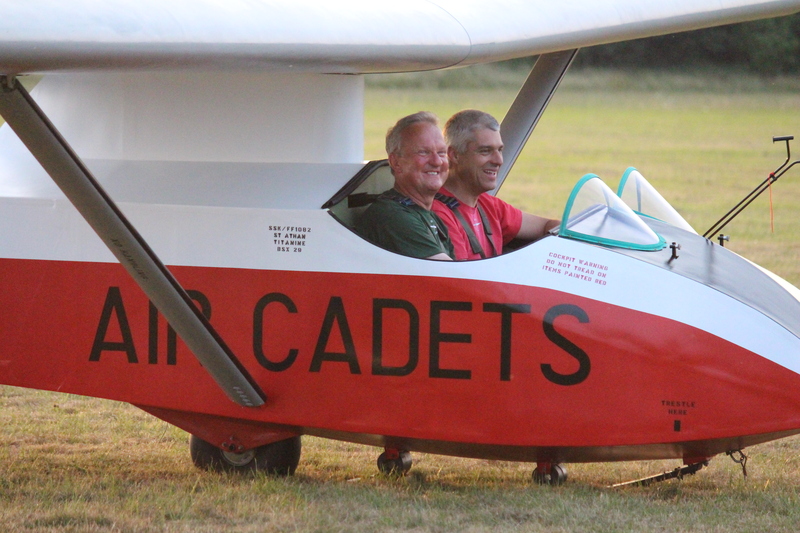 Dave soon showed us how you don’t need to be kind to the fabric your about to strip off the aircraft – this was done by putting a screwdriver through said fabric to provide access to some bolts!